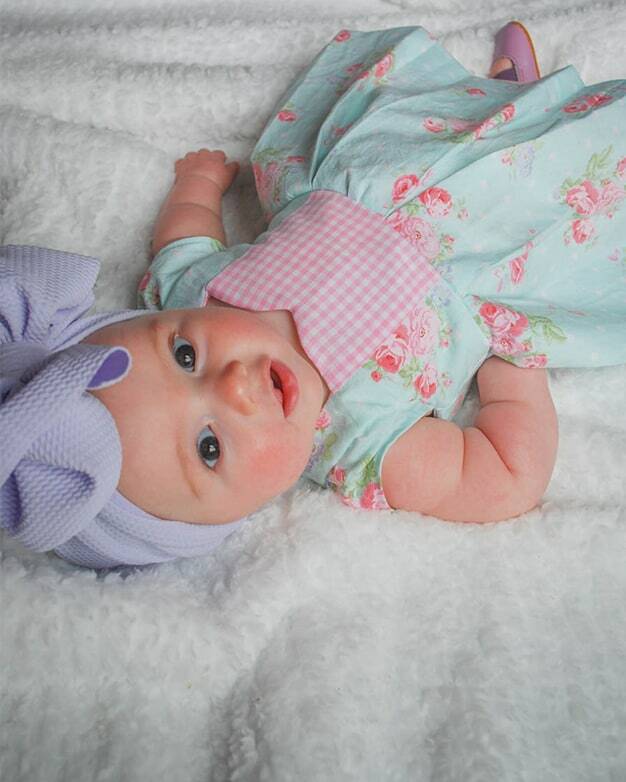 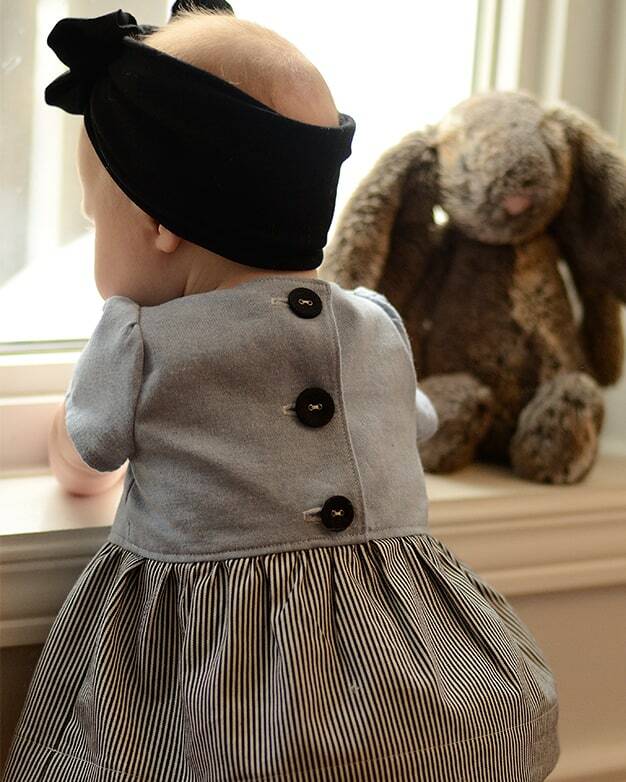 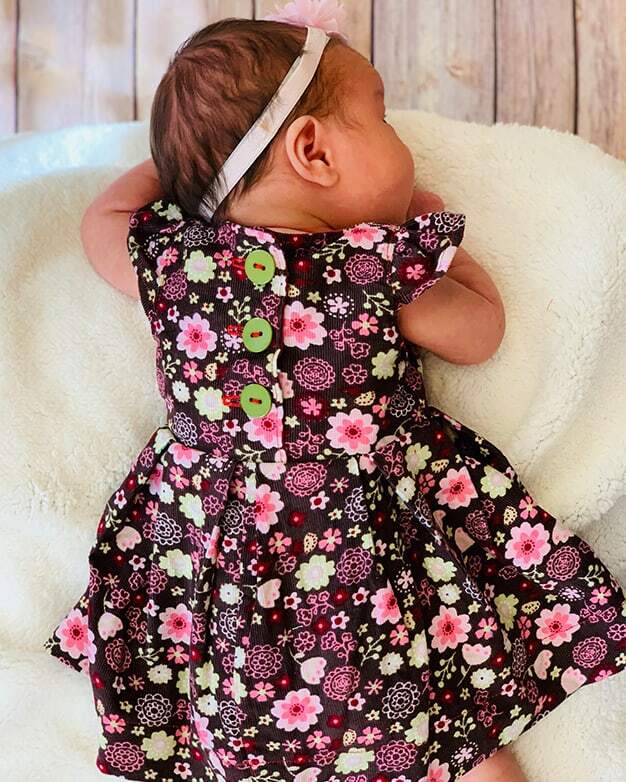 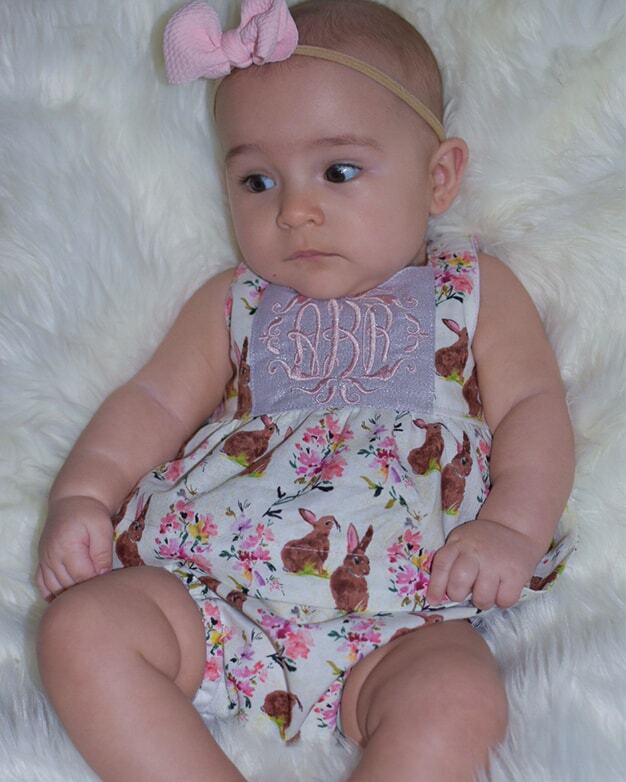 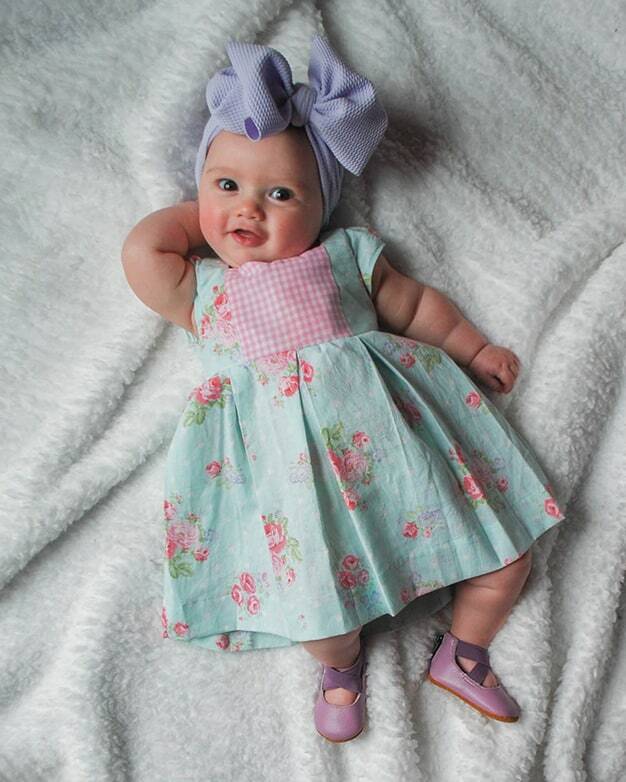 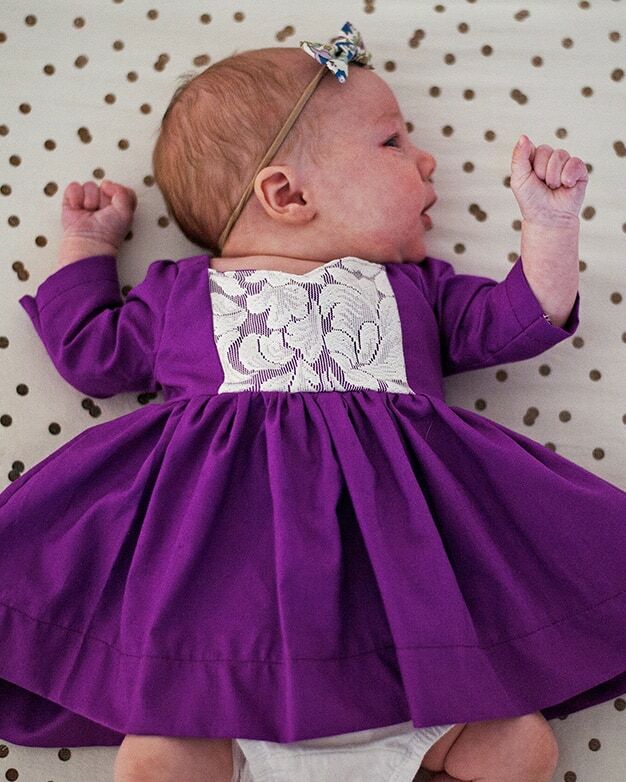 Baby Ava’s pleated dress is full of stunning options. 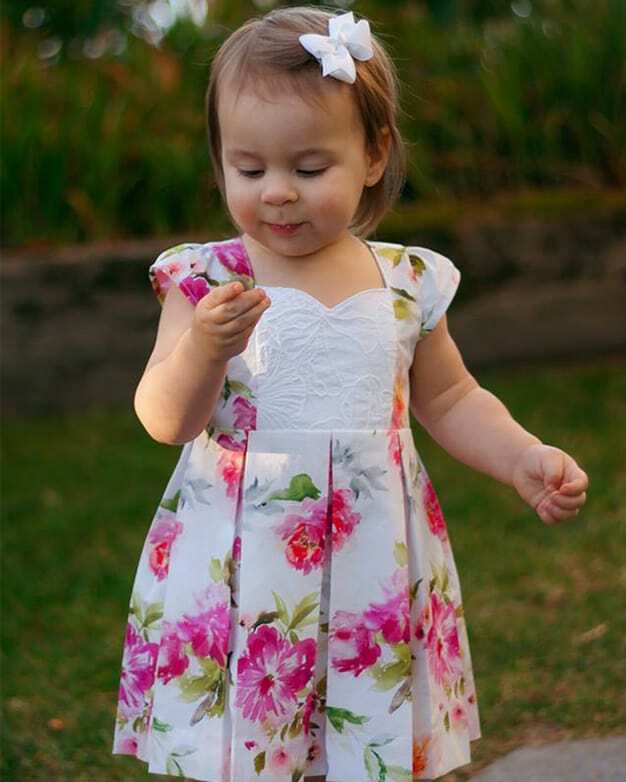 Starting with the bodice, you can do a simple sweetheart bodice or a pieced sweetheart bodice, perfect for showcasing a different fabric or adding a fun monogram panel there. 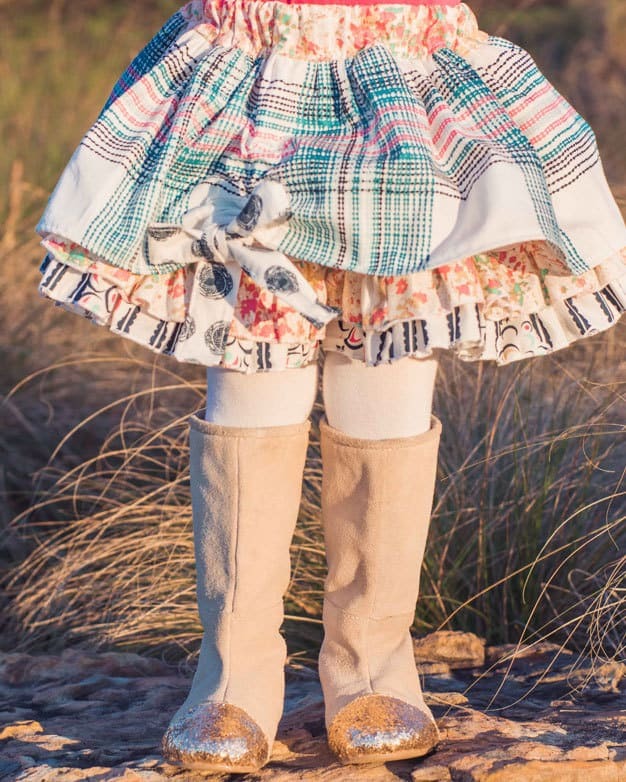 Trim it with piping or crochet lacer that extra pop. 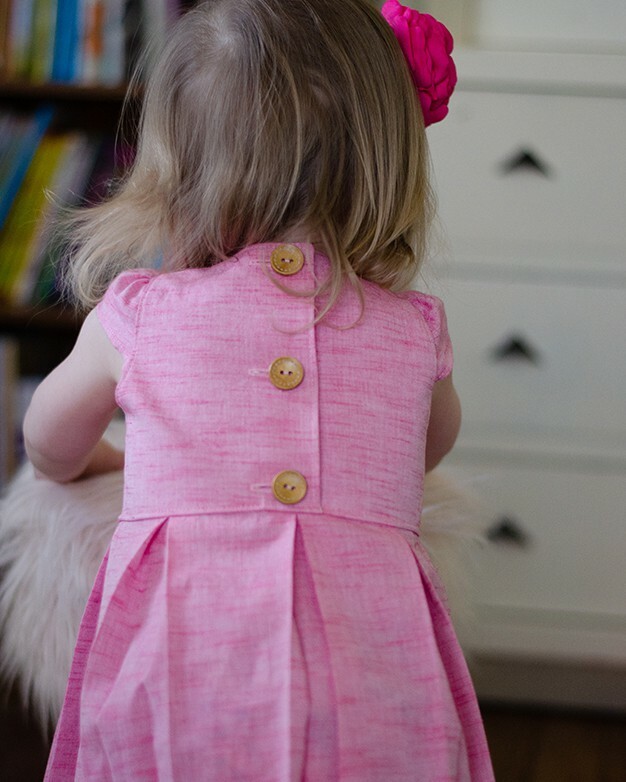 This pattern offers a full coverage back that buttons up the back without a placket. 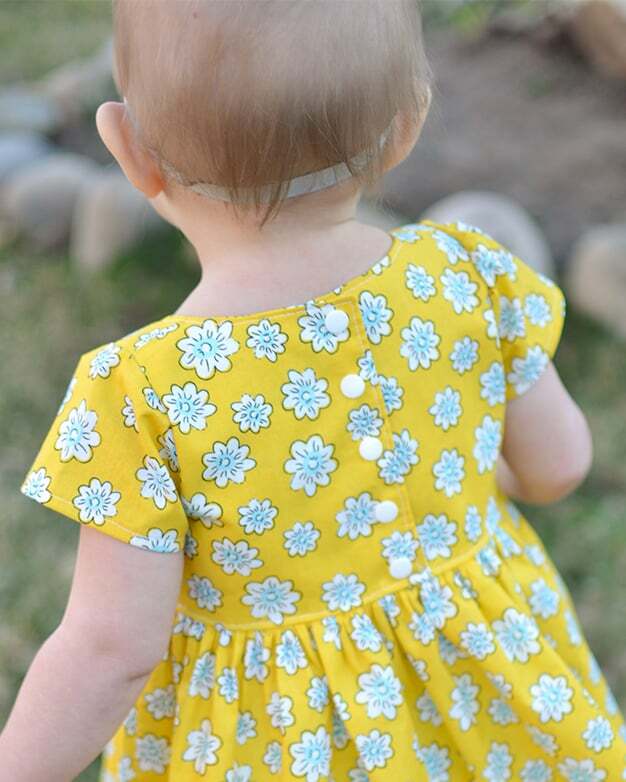 Choose from cap sleeves, short sleeves, 3/4 or long sleeves. 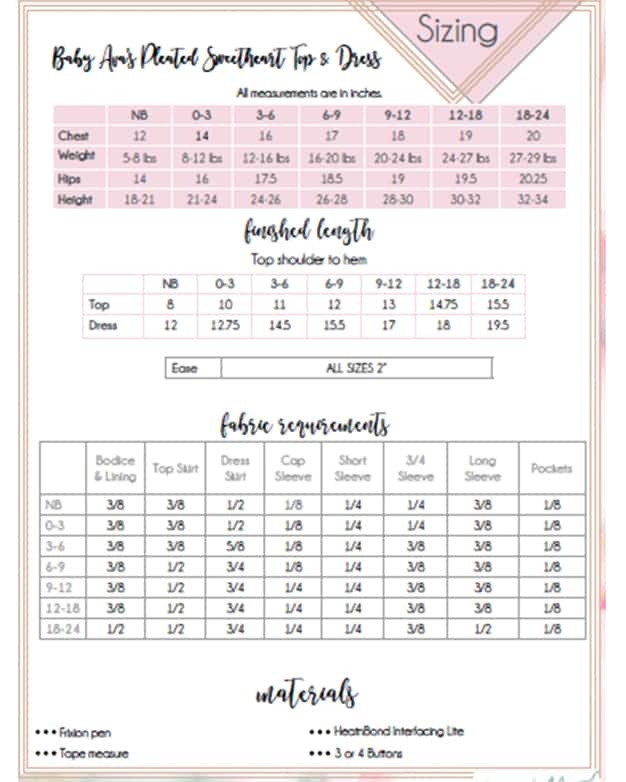 Top or Dress length in either a pleated skirt or gathered skirt and a deep hem. 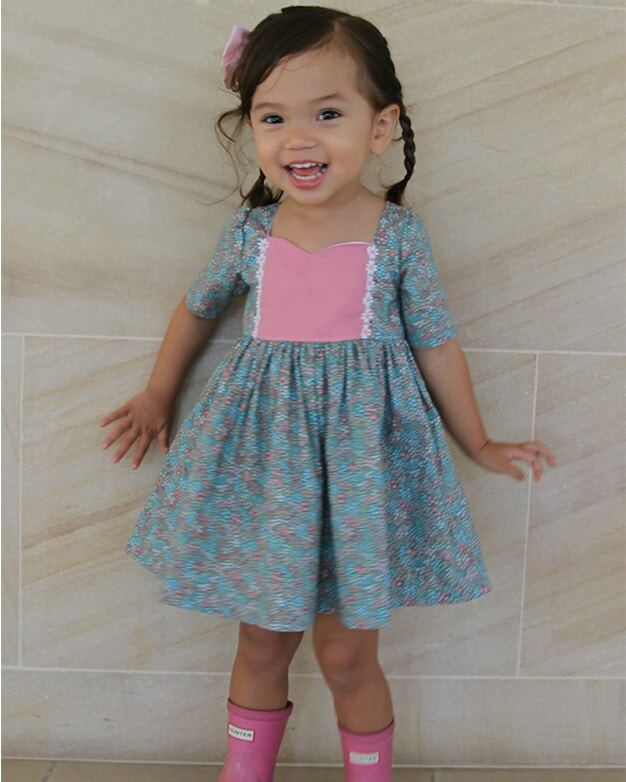 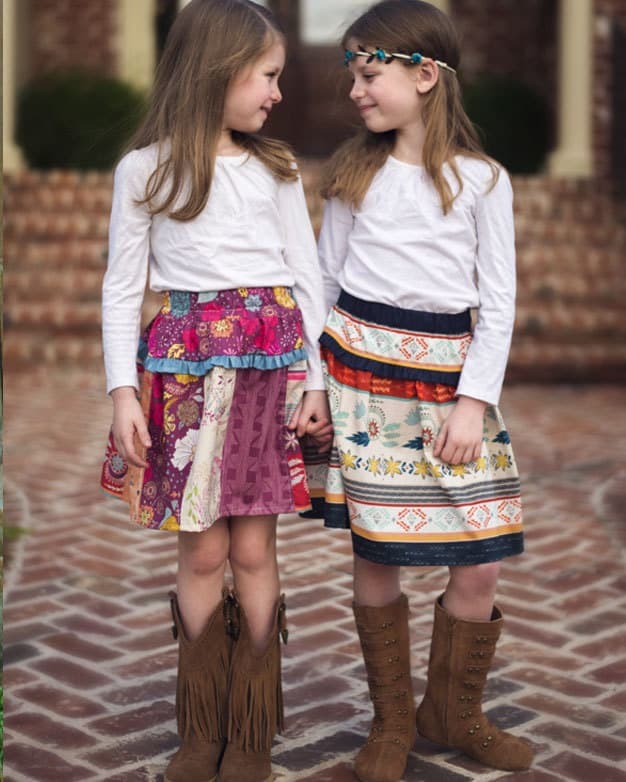 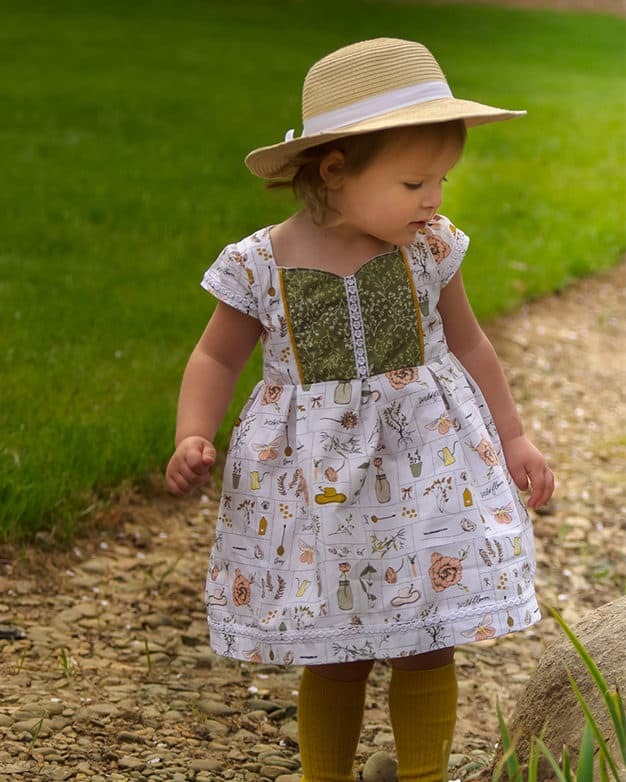 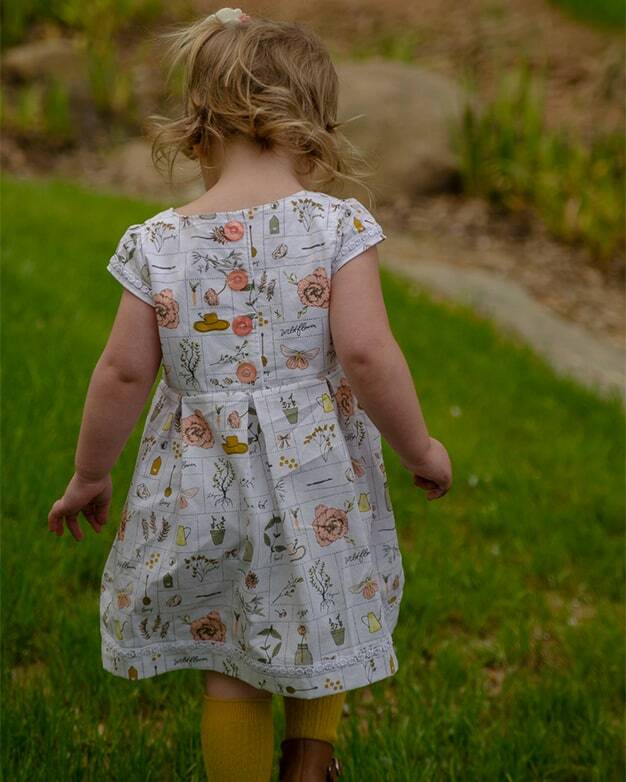 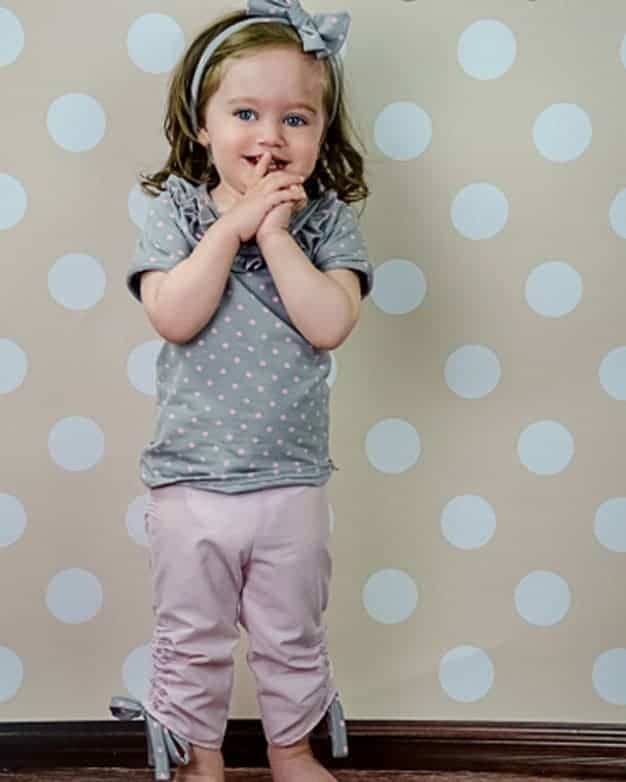 This pattern also has optional side seam pockets which are perfect for holding all those treasures your little loves to pick up. 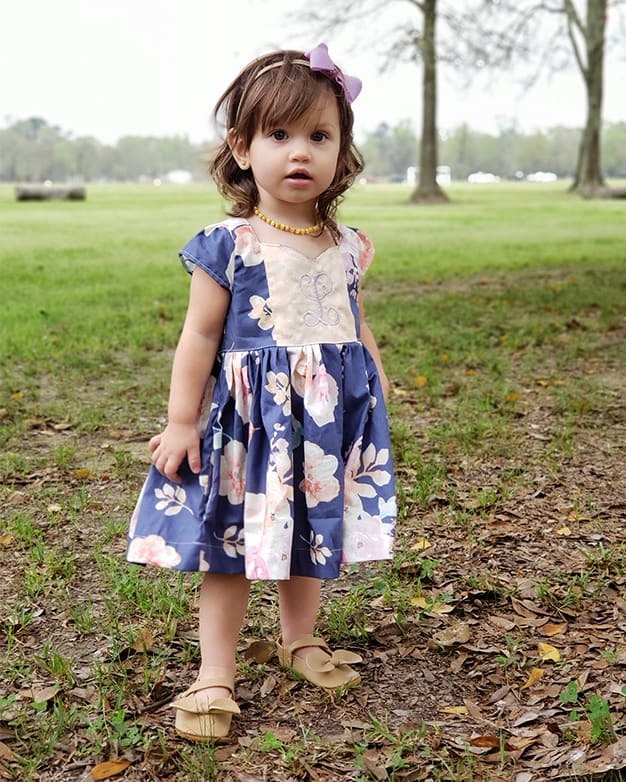 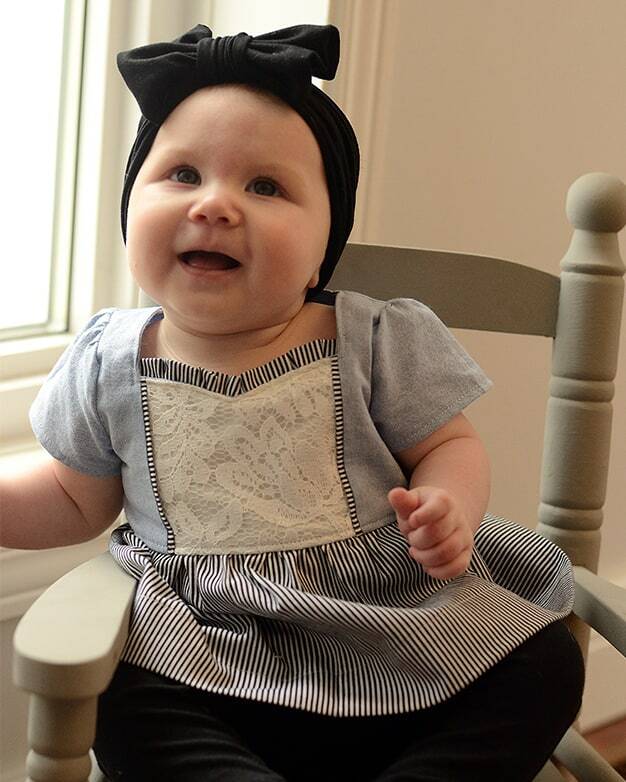 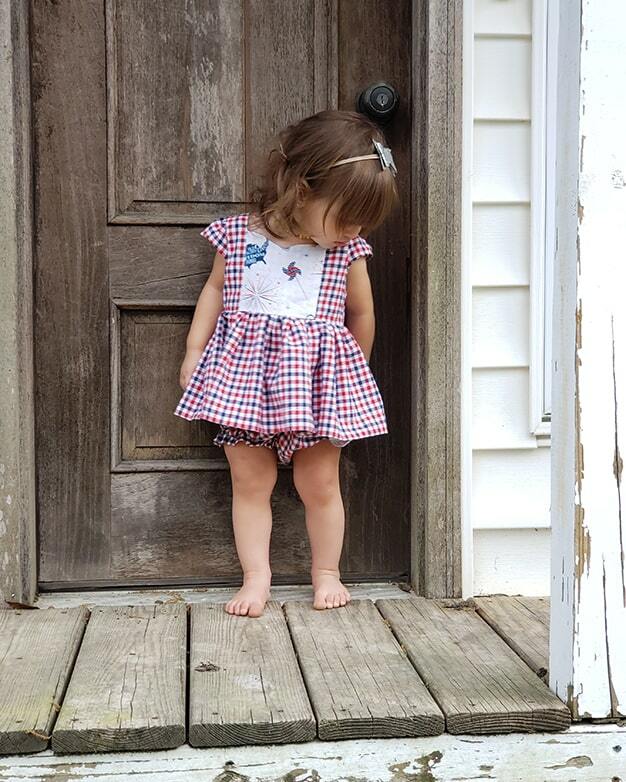 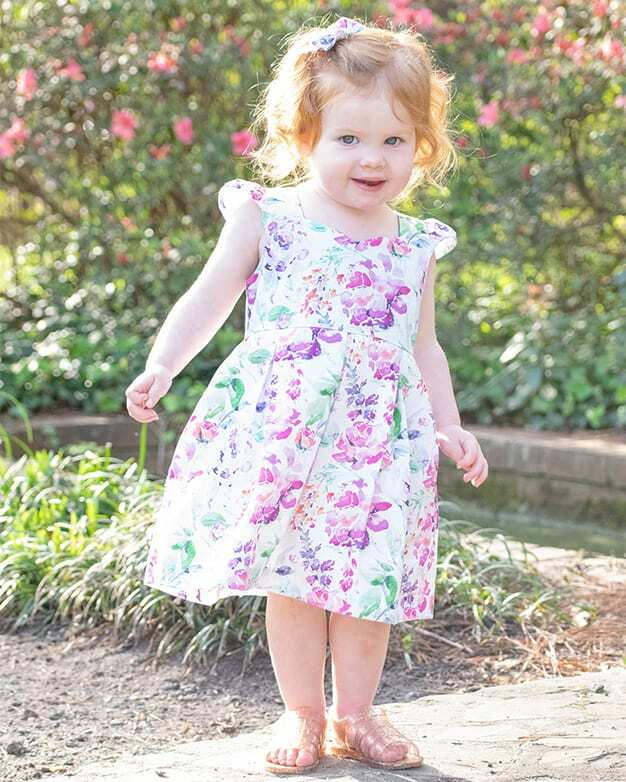 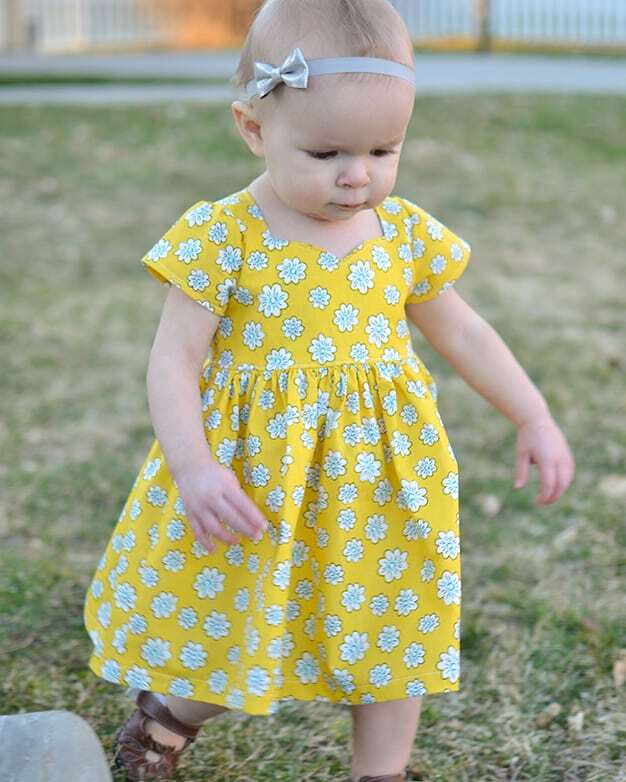 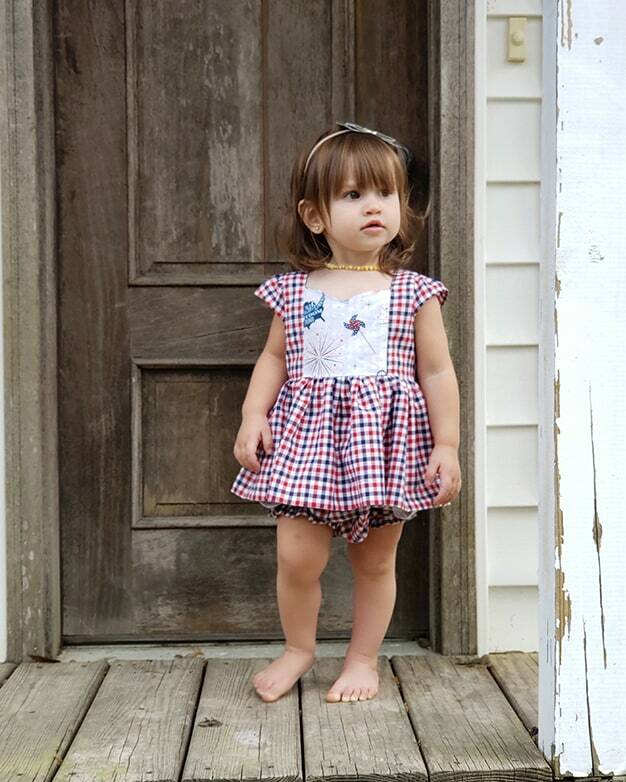 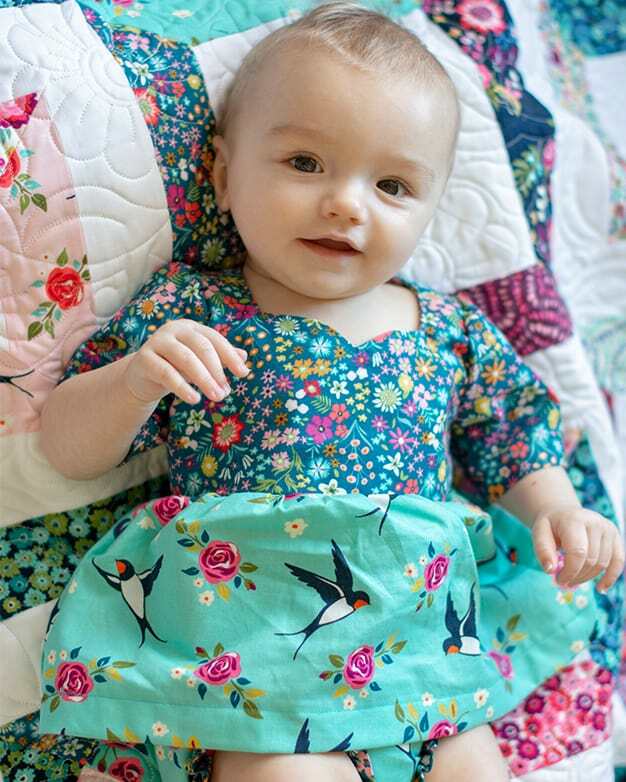 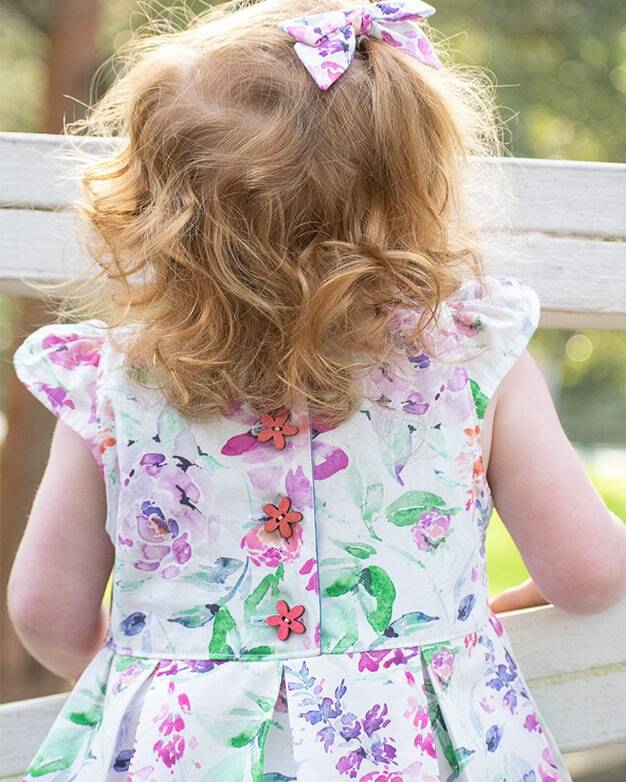 Baby Ava is the perfect dress for everyday play or something a little more special, like a father-daughter dance.